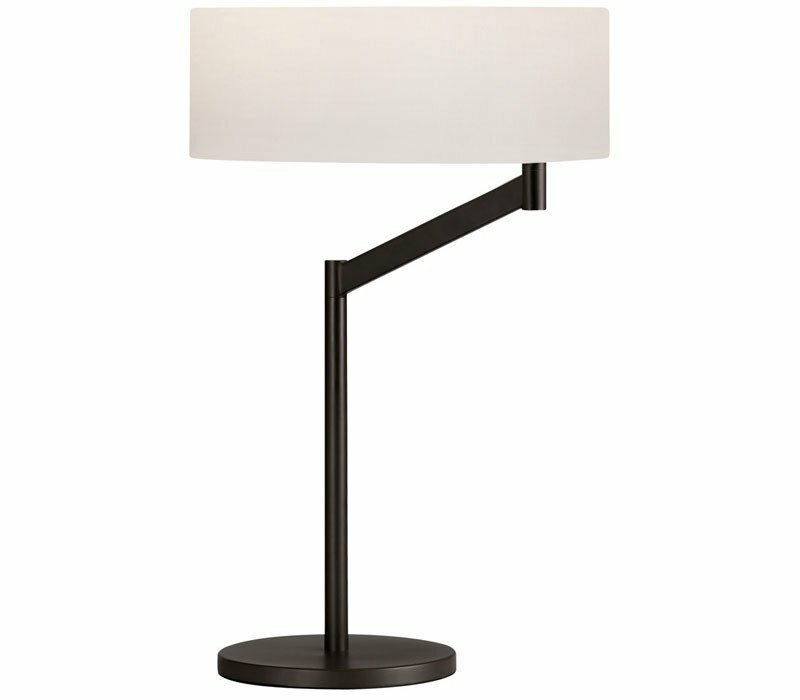 The Perch Swing Arm Table Lamp's large linen shade rotates eccentrically to extend its reach to that of a traditionally classic swing arm lamp, allowing effortless adjustment to shed direct light on reading or tasks, while providing its surroundings with soft shaded illumination. 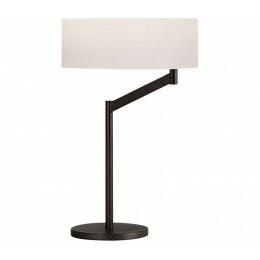 The Sonneman 7082.27 Perch collection Table Lamps in Coffee Bronze use Incandescent light output and bring Modern style. 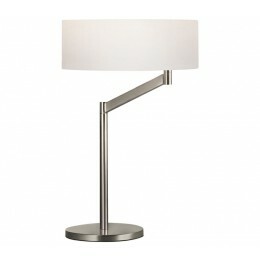 This item is 23"H x 14"W x 24.25"L. The wattage is 150. The Sonneman 7082.27 requires 1 bulb (not included). 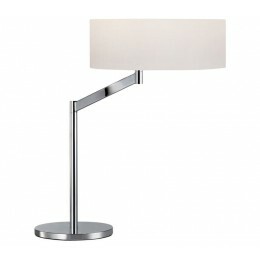 Additional Information: Shade-White Linen Shade; Control-On/Off Turn Switch.